Major League Baseball's latest effort to reduce the prices it pays for Japanese players will not affect this year's expected posting of slugging ace pitcher Shohei Otani, a source within Nippon Professional Baseball said Saturday. Yet, Japanese baseball executives believe there is little choice but to give in to MLB's efforts to limit NPB's ability to set posting fees for its own players. "The majors' bargaining position is just too strong," the executive of one team said after officials of all 12 NPB clubs met in Tokyo on Friday to discuss the MLB proposals. Those proposals would virtually eliminate posting fees to NPB teams for players under the age of 25 such as Otani. 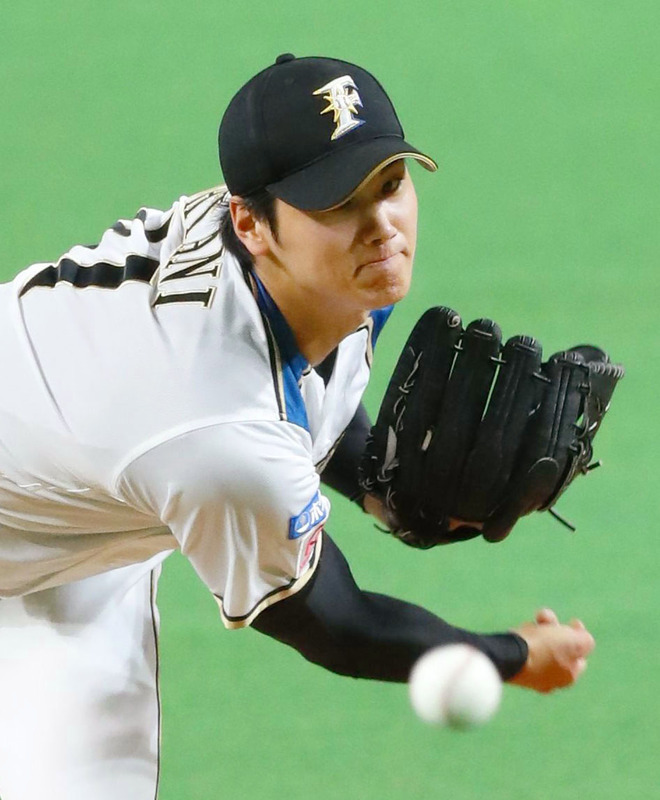 But with the 23-year-old poised to be posted this year, a source said an exemption is already in the works to allow Otani's club, the Nippon Ham Fighters, to receive a posting fee of $20 million. "This (set of proposals) isn't about Otani," the source told Kyodo News on Saturday. What it is about is the future, where MLB sees future stars of Otani's caliber bypassing NPB altogether and turning pro in the States with MLB teams. Even if the Fighters get their $20 million, MLB's new posting proposals will remove the financial incentive of a team trying to do the same thing with another future superstar. The proposals, leaked by Yomiuri Giants owner Shoichi Oikawa, on Sept. 13 called for posting fees to be fixed at 15 percent of a player's signing fee and contract, including incentives. Currently each player's "posting fee" is set by his NPB team up to $20 million, but MLB wants to replace it with one where the NPB club has no say in the matter of its posting fee and teams posting high-value youngsters -- like Otani -- get next to nothing. According to Oikawa, there are two proposals. Proposal A sets the transfer fee at a flat 15 percent, while Proposal B sets it at 15 percent up to a total payout of $100 million, with a $20-million fee if the player's contract value exceeds $100 million. MLB now treats any overseas professional under the age of 25 as an amateur, who can only be offered a minor league contract with a maximum potential signing bonus of just over $10 million. By capping posting fees at 15 percent, the return for a team posting a highly-sought-after youngster like Otani in the future will be much less than $2 million -- and then that youngster would, as Otani will, have to play six seasons in MLB before becoming a free agent. The message from MLB is clear: "If you really want to play in MLB, don't waste your time in NPB." Although both of MLB's two proposals are one-sided and not in NPB's best interests, one of them will ultimately be accepted, because of NPB's inability to take a stand, one source suggested. "It will happen," he said, "because of the people who are doing the negotiating (for NPB)."